Ads. Podcasts. Guest blogging. Free consult calls. Email marketing. It’s easy to get overwhelmed by the sheer range of marketing choices. Paralyzed by indecision, some businesses adopt a ‘build it, and they will come’ approach. Others try to do all the strategies at once. They have no way of knowing which ones work and they can’t keep up with them all. In the US alone, 627,000 new businesses open their doors every year. But the internet is global so you’re up against far more competition. In a busy business world like this, your company needs a way to generate leads on tap. Not only leads but good leads. Wondering if, or why, you need to use lead generation strategies? Read on to learn more. One thing to bear in mind is not all leads are created equal. Some marketers throw money at collecting leads anywhere that they can. But they’re not collecting leads. They’re collecting emails. Lead generation is not one of those processes where quantity trumps quality. Instead, you’ll find all your lead generation easier if you start with your ideal customer. They’re the people who’ll buy your product. Or sign up for your service. So it makes sense to focus your attention on finding more leads like that. While other businesses are throwing money at social media ads? 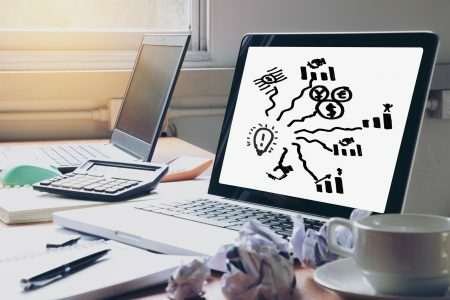 You’re focusing on your target audience and forging connections. Inbound marketing is the process of bringing customers to you. We’ll go through the different methods of doing that below. But it is a great method for creating brand awareness. It also helps you build relationships with potential customers. No, we don’t mean the 19th-century opera by Verdi. We mean the old copywriting formula that translates so well to 21st-century marketing. It stands for Attention, Interest, Desire, and Action. It’s the path your customers will take throughout all your lead generation efforts. First, you’ll get their attention. Content is a great way to do this. Start a blog or Youtube channel. Focus on what your customer needs that’s related to your product. Create content relate to what they’re already searching for online. You will need to spend some time marketing your blog. People need to know it’s there before they can read it. They could see a link to a blog post on Twitter. Or hear you talking on a podcast. Whatever the method, they can learn how to fix their problem on your website. This is step 1 in your lead generation process. Prospects are already looking for information in your niche. So anyone who consumes your content is not a totally cold lead. But they aren’t warm either because they didn’t know about you beforehand. Which is why you needed to get their attention. Some marketers focus on closing the sale during the attention stage. Trouble is, modern buyers like to do their research before they open their wallets. Many aren’t ready to buy based on a single blog post. They want to get to know you first. And that’s why you need to capture their interest. When you get their attention, try and encourage them to join your email list. Then send emails that continue to help them. Weave in your own product as a potential solution to generate their interest. At this point, you’re warming up the lead. Now you have to make them want your product. Good copywriting can make all the difference between sales and no sales. Show them what their life could be like once they’ve bought your solution. Sell them your vision. They click ‘buy’ and that lead becomes a customer. They’ve spent time getting to know you. Which means they’re more likely to stay with you. Let’s look at the Pareto principle for a moment. It suggests 80 percent of your business comes from 20 percent of your existing customers. Once you’ve turned that lead into a customer, it’s easier to keep making income from them. Keeping your customers happy is one of the best lead generation strategies around. Sure, you could take out ads in the trade press. Or you could try a direct mail campaign. But you have no way of measuring your return on investment (ROI). How do you know which strategies can generate leads? With various ways to find sales leads, we’ve boiled it down to the essentials for small businesses. Giving away something of value is a great way to turn a browser into a subscriber. Then you can use your email marketing to turn them into a customer. Authors have been doing this for a few years. Many novelists give away books, preview chapters or short stories to new readers. And non-fiction authors give away consultation calls or cheat sheets. Make sure whatever you give away solves a problem. And it must relate to what you sell. Otherwise, you risk building an email list of the wrong people. If you’re a SaaS business, consider free trials or discounts. Or even beta tests of new software. When you’re very new, you can even afford to speak to subscribers yourself. Get their feedback on your product. Let them inform its features or functions. 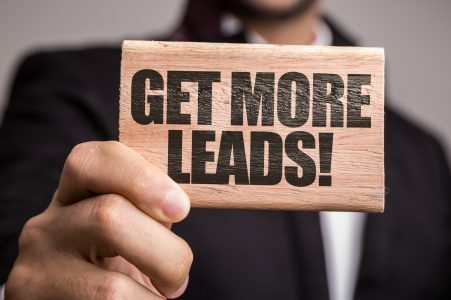 These customers won’t just be leads. They’ll be your biggest advocates. Trade shows might be beyond the budgets of fledgling businesses. But attending one can be a great way to get talking to potential customers. Talk to them 1-to-1 and ask them how you can help. Dig into their problems and make a note of what they say. (Hint: You can use this to inform new content on your blog or channel). Running ads on social media still has a place in any marketing strategy. They offer laser targeting to your ideal customers. And anyone you prise away from scrolling through their feed is interested in what you offer. That’s no small task given Americans spend more than ten hours a day looking at screens. Social media ads also pair well with email marketing. Drive traffic to a landing page on your website. Make it clear what they will get by signing up. And then deliver. Remember, just because they sign up, it doesn’t mean they’re ready to buy. You have to nurture your sign-ups to build their trust in you. If you’re looking for a guide to a full marketing strategy, find more information here. Never underestimate the power of SEO for bringing leads to your website. Why? If someone is searching Google for something, they already know they need it. They’ve qualified themselves as a lead simply by looking. Optimize your website and content for keywords your customers will use. This form of passive lead generation puts your website in front of prospects 24/7. It also works at all levels of the AIDA process. Optimize blog posts to capture attention. Or optimize sales pages for those customers who are ready to buy. Provide amazing content to solve problems. Keeping visitors on your website shows Google your content is worth serving up to others. 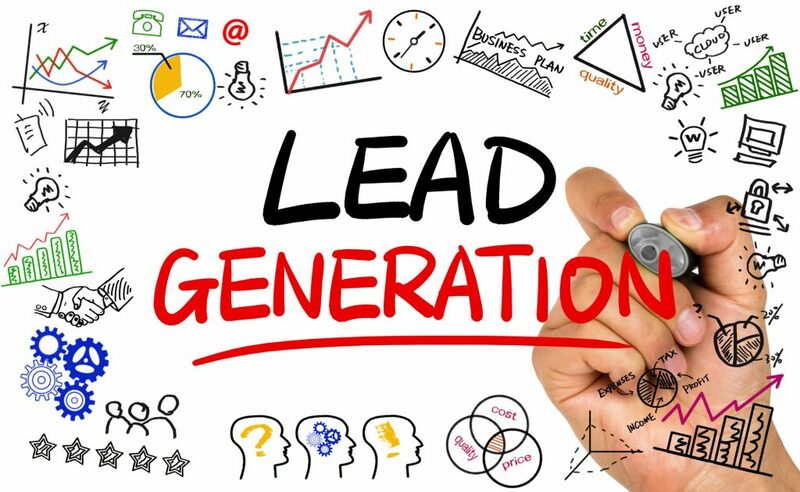 Why Are Lead Generation Strategies Essential? The advantage of modern marketing methods means the playing field is a little more level. A competitor may have a huge budget, but if their ads fall short? The customer doesn’t buy. Meanwhile, fledgling businesses can scoop up those customers with clever marketing. Or simple strategies that treat them as people, not just credit cards. Businesses can do lead generation almost by accident. Even having a link to your landing page in your email signature might generate a few signups. But by approaching things strategically, you can track and measure what works. Revisit your numbers every month. Did one strategy work well? Double down on that one. Consider scaling back those strategies that saw little ROI. Or work out what tweaks might help improve their efficiency. 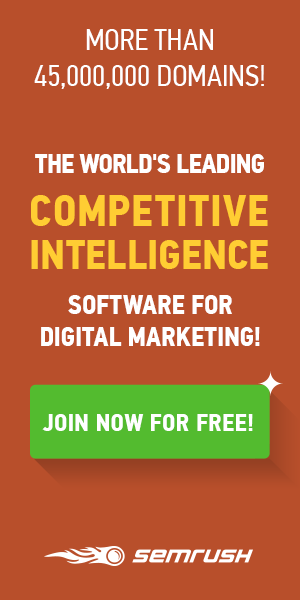 You can automate much online lead generation. That frees you up to spend more time on other activities in your business. Once you nail your lead generation, then move onto lead qualification. In other words, decide which leads to keep! Now you’re armed with an arsenal of surefire lead generation strategies. You also know why they’re so crucial to your success. You’re in a sea of businesses who either overwhelm themselves with marketing – or don’t do any. These strategies will set you apart as a business who knows how to reach out. Pair that ability to connect with an ability to create relationships. Enjoy fruitful partnerships with your customers. If you’re keen to try SEO, learn more in our SEO article bank.